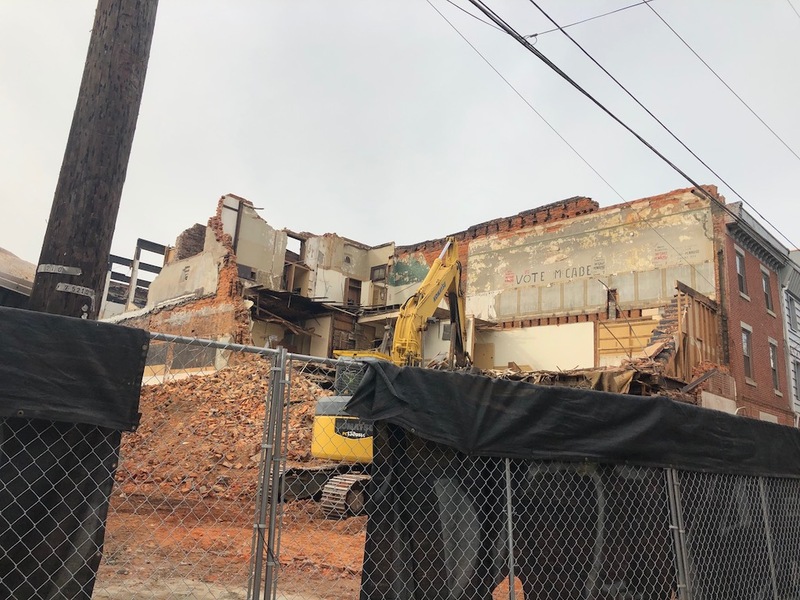 Last week, when we called your attention to the upcoming five-home project at the corner of Memphis & Susquehanna, we missed an opportunity to provide an update on another project just down the street. In the interest of correcting that oversight, let us now turn our attention to 2210 E. Susquehanna Ave., home to the Bethel Baptist Church for over thirty years. Unlike many churches we’ve covered over the years, Bethel Baptist wasn’t a gorgeous stone edifice dating back over a century- it was a combination of a three-story stucco building and a one-story structure that was once the local post office. A little over a year ago, we informed you that the church would be moving away from this address, having sold the property to developers. That has indeed happened, as the church is now meeting in a new space on the 1700 block of N. Mascher Street, per their website. Alas, the rest of our prediction, that the developers would be constructing a 27-unit apartment building and reusing the old post office facade, has not come to pass. If you visit this property today, you’ll see that the old post office is gone and the stucco building is following down that same path. So… what happened? When we told you about the plan previously, we mentioned that it would need approval at the ZBA, but we were cautiously optimistic that it would get the thumbs up because it called for 1:1 parking. But the developer ultimately withdrew the proposal before the ZBA could hear it. Perhaps the community pushed back against the density? Potentially the developer decided that the variance process would take too long? Maybe the developer got some cost estimates on saving the old facade and pivoted to a new plan? We couldn’t tell you. 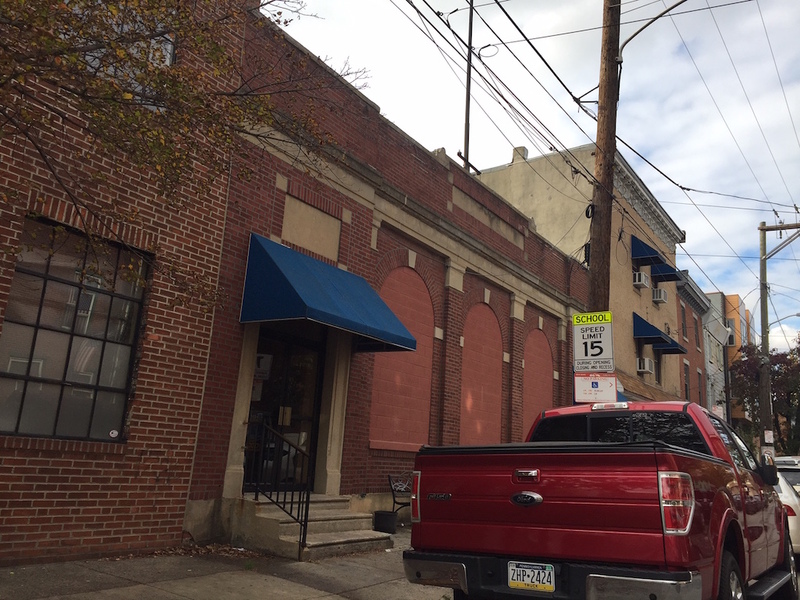 What we can tell you is that the new plan for this property is proceeding entirely by right and calls for nine new homes, with five fronting Susquehanna and four fronting Dreer Street. Each home will have a rear garage parking space, accessed from a drive-aisle that enters the property from Tulip Street. In all, it’s a fairly basic project that will add a third as many residents to the neighborhood as compared to the previously considered plan. This feels to us like a missed opportunity, as the property sits a little more than a block from Frankford Avenue, but it does follow more consistently with the underlying single-family zoning of the property. We’d argue that blocks near commercial corridors should be upzoned to multi-family across the city in order to better support local businesses, but that’s a step that would probably be opposed by current residents in Fishtown, and in plenty of other neighborhoods, too. By right is the way to go! I live in EKNA territory and I’m pretty sure this isn’t EKNA territory. Alright so it’s FNA. They’re even more anti development. How are they going to do a drive-aisle from Tulip? 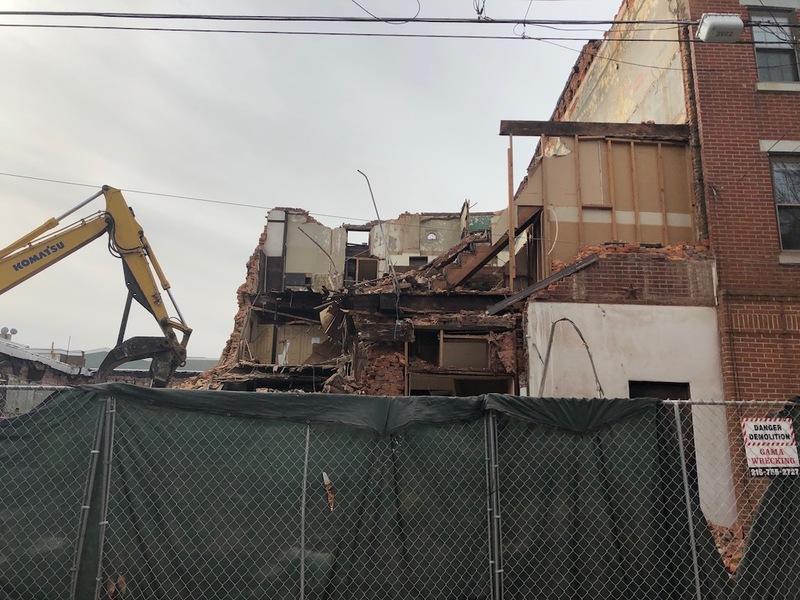 Is the structure at the back of 2220 Susquehanna actually coming off of the Post Office building? Cosign on density. Opponents argue about existing scale, but everyone should remember that (unlike many lines in the far reaches of Queens or Brooklyn) most of the Frankford El-adjacent building stock existed prior to railway construction. The proximity of fixed-guideway transit offsets the need for substantial additional parking. A century later, with burgeoning redevelopment underway, it’s certainly time for an appropriate reconsideration of zoning in the area.